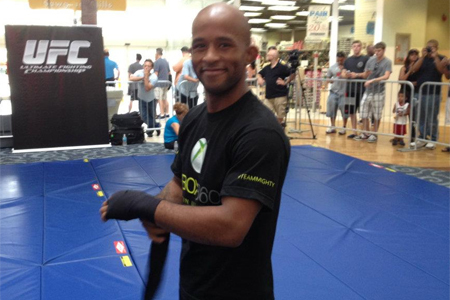 Demetrious Johnson (pictured) beat Joseph Benavidez 14 months ago to become the inaugural UFC flyweight champion. According to the Gambling Gods, Johnson will likely do the same in tonight’s rematch. “Mighty Mouse” is a slight -140 odds-on favorite to retain his title. Benavidez, meanwhile, comes in just behind at +110. Benavidez has been a different fighter since suffering the biggest defeat of his career – winning his past three scraps with the last two ending in knockout fashion – so their sequel could be very interesting. Sleep Train Arena in Sacramento, California hosts Saturday’s festivities.